Here at Timber, we only skate on quality hardware. You can’t go wrong with Caliber II’s. 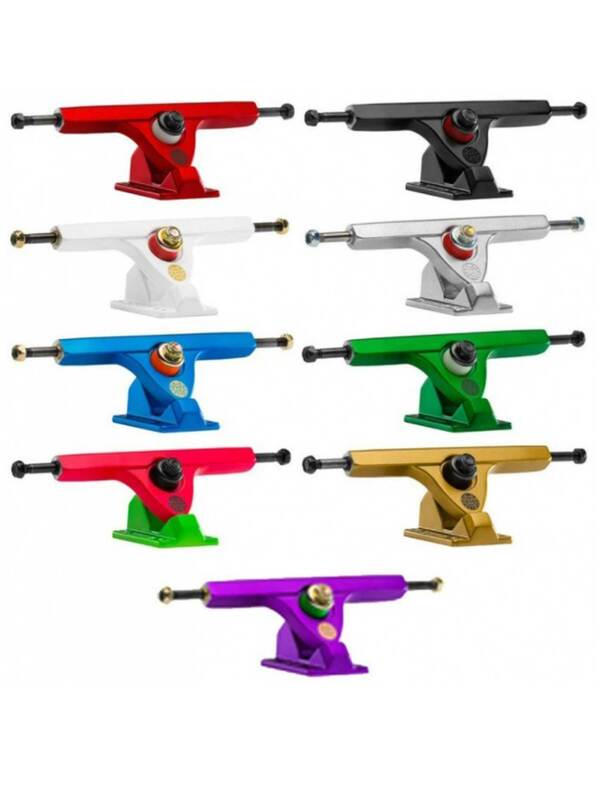 These trucks are as sturdy and tough as they come in this priceclass. The new versions (these ones) have reinforced baseplates, hexagonal kingpins, tougher axles (40% strengthened!) and much more features which we recommend you look up on their website. These trucks are 50 degrees. So perfect for cruising, dancing and freestyle. Absolutely fantastic. The Caliber 50? is one of the most popular trucks on the market. At 50 it will steer easier than its 44 counterpart, but still offer plenty of stability. The Caliber hanger has no rake, so it is inherently quite stable.